The Deep Ellum Food Tour features generous tastings - enough for lunch or dinner, shopping stops at local food artisans, and optional Happy Hour cocktails at favorite local eateries. Photo opportunities in front of Deep Ellum's colorful murals along with a narrated history of the neighborhood's street art and jazz roots are also part of the experience. Come hungry and eat your way through Deep Ellum! Come hungry, as Deep Ellum food does not disappoint! We'll be stopping at some of Deep Ellum's best restaurants including Stirr, Baker's Ribs and Bucky Moonshine. We'll also give you the chance to explore Rocket Fizz vintage candy shop and 1890 Marketplace for olive oils and spices. Our newest tour of artsy Deep Ellum features generous tastings - enough for lunch or dinner - and optional Happy Hour Cocktails at favorite local eateries. The tour will begin at Stirr in the heart of Deep Ellum, and guests will take a leisurely walk between food stops and shops. Our tour guides are local and professional and tours are fully narrated with the history and fun facts about the area. 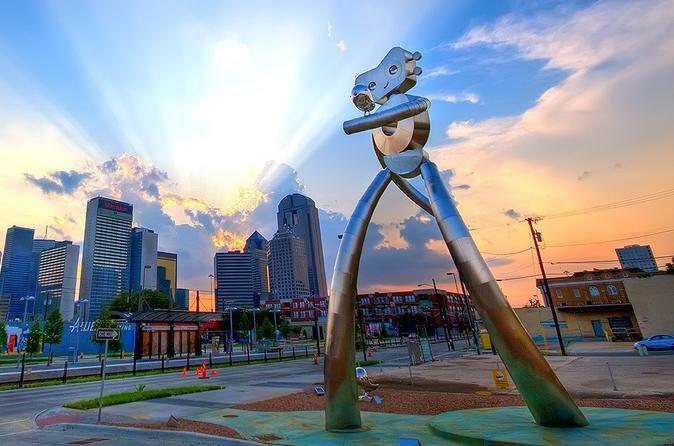 Enjoy the neighborhood's street art and jazz roots, with photo opportunities in front of Deep Ellum's colorful murals. Tours includes leisurely walking and takes place in all weather conditions. Tour guide gratuity, soft drinks and alcohol (unless otherwise specified) are not included in ticket price.